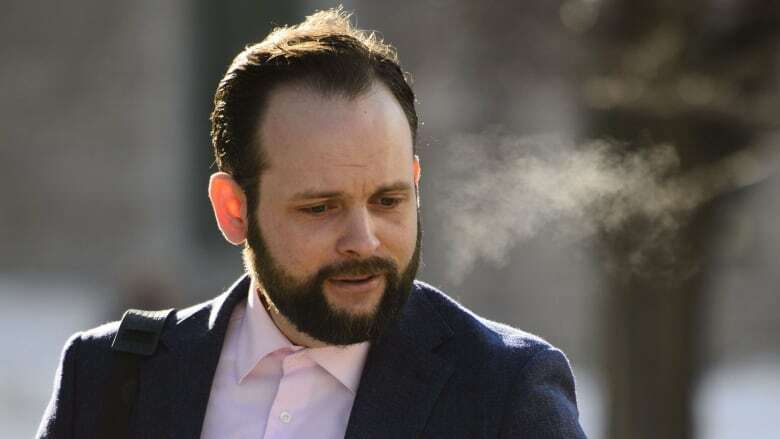 The trial of former hostage Joshua Boyle, charged with assault, sexual assault and other offences, began Monday with one of the alleged victims, his estranged spouse, electing to lift the publication ban that has shielded her identity for more than a year. Boyle, 35, is facing 19 charges relating to two alleged victims, with Caitlan Coleman identified as the victim for 17 of the charges. Coleman was Boyle's spouse when he was arrested by Ottawa police on Jan. 1, 2018. Boyle has pleaded not guilty to all charges and is currently out on bail under house arrest. Wearing a navy jacket, light pink shirt and black pants, Boyle sat in the Ontario courtroom gallery between his parents, taking notes on a small yellow pad of paper. His father, sitting to his right, also took notes. Coleman was not in court Monday. Crown lawyer Meaghan Cunningham told court she is currently travelling to Canada, and that her testimony is expected to begin Wednesday and continue for about three days. Boyle and Coleman were abducted while on a backpacking trip in Afghanistan in 2012. Their return to Canada in October 2017, alongside three children they had during their five years in captivity in Afghanistan and Pakistan, made international headlines. The family visited with Prime Minister Justin Trudeau not long after their return. 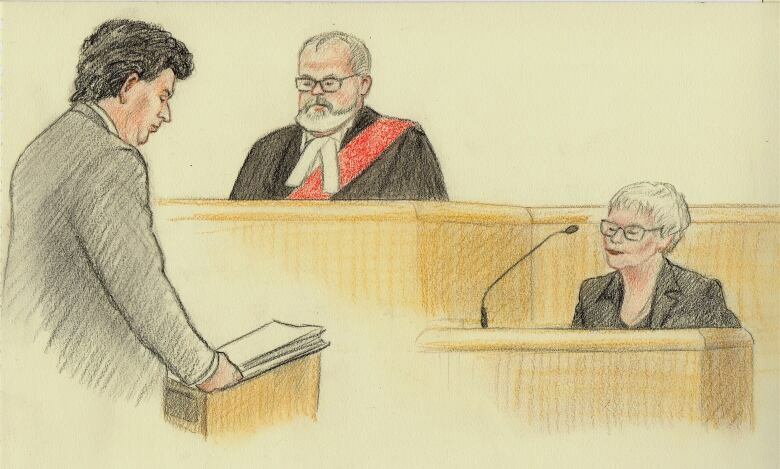 During her opening remarks, Cunningham told court the Crown expects Coleman's reliability and credibility will be "vigorously challenged" by Boyle's defence team. The Crown expects the defence to argue that Coleman had not behaved like someone who feared Boyle, but rather like a "consenting party." The judge will likely be asked to rule on whether Coleman's testimony accords with common sense and human experience, Cunningham told court, and the Crown will argue that Coleman's years in captivity and in an abusive relationship had a "profound effect" on her, making her experience different than most and therefore more difficult to understand and assess. Evidence will be heard about how police came to be involved in the case, including a 911 call made in the early hours of Dec. 30, 2017. Witnesses to be called by the Crown will include the officers who responded to the 911 call, a forensic identification officer who took part in a search warrant at the couple's home, a neighbour who made observations about the family, Coleman's mother and two sisters, and a Global Affairs Canada employee who accompanied the Boyle family on their flight to Canada after years in captivity. The Crown's first witness, registered social worker Deborah Sinclair, testified in general terms Monday about abusive relationships and how victims of abuse and trauma behave, citing a report she prepared for the Crown. Cunningham told court Sinclair wasn't going to comment on Boyle and Coleman or their relationship specifically. Sinclair testified that abuse takes several forms: emotional, psychological and physical, and that abusers often "groom" their victims over time, gradually wearing them down to make them more compliant and adopt the abuser's point of view. It's hard for the average person to understand why someone wouldn't walk away, Sinclair told court, but victims often feel powerless, blame themselves and don't look at what's happening to them from a critical point of view. In captivity, both partners would have an increased dependency on each other, there would be fewer options available to resist abuse, and the torture and mistreatment of an abuser may make him more likely to redirect that trauma to the victim, thereby giving him a sense of control, Sinclair testified. During cross examination by defence lawyer Lawrence Greenspon, Sinclair conceded she hasn't done formal, peer-reviewed research on how prolonged captivity affects relationships, and that she therefore can't say what effects five years of captivity might have on a relationship. Sinclair also conceded she's not an expert in distinguishing whether a victim's behaviour results from domestic abuse or prolonged captivity, and admitted that her report doesn't make those distinctions. Greenspon also emphasized that Sinclair works as an activist in the field of violence against women, working to change social systems that prevent women being protected and heard. Upon their return to Canada in 2017, the couple and their children went first to Smiths Falls, Ont., where Boyle's parents live, then moved to Ottawa. Boyle was arrested by Ottawa police on New Year's Day in 2018 and charged. His eight-week trial by judge alone is being overseen by Judge Peter Doody of the Ontario Court of Justice. Boyle is being represented by Greenspon and Eric Granger, while Cunningham and Jason Neubauer are handling the case for the Crown.